My life has changed completely. Today a man and a woman came to take care of me and Isaac. They said that they would come live here and take him to school and to doctors and stuff. They said they would take over all the responsibility that was formerly mine as a single mother! Ok, yes, they were our parents. They finally came back! Yay! It is so different to NOT be a parent. May the Lord bless me with children some day if it be his will, but I pray that single motherhood never be my lot. The Lord helped me and Isaac get through this week. It was hard but we made it! By the end I was even feeling like I would be able to get into a kind of routine if we had had a couple more days. Here is my Keepsake Album contribution for today. 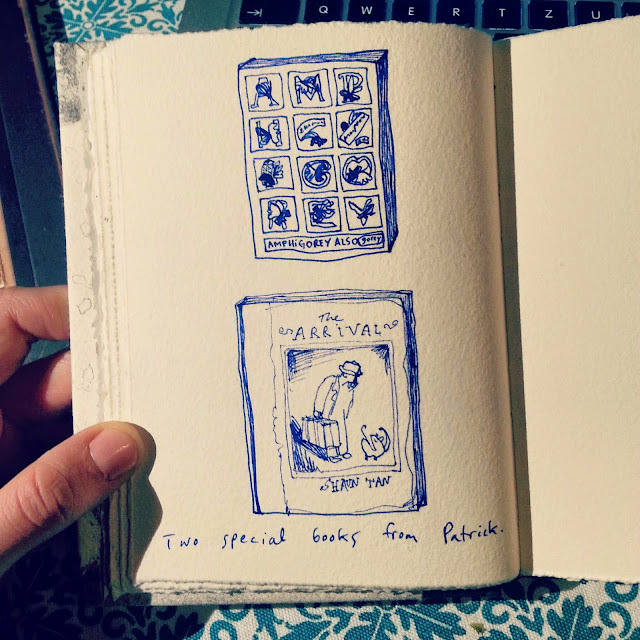 It is a drawing of two books that my older brother Patrick gave to me on separate occasions. He knows how much I love graphic novels and illustration so he got these for me at a shop in Providence that sells such books. 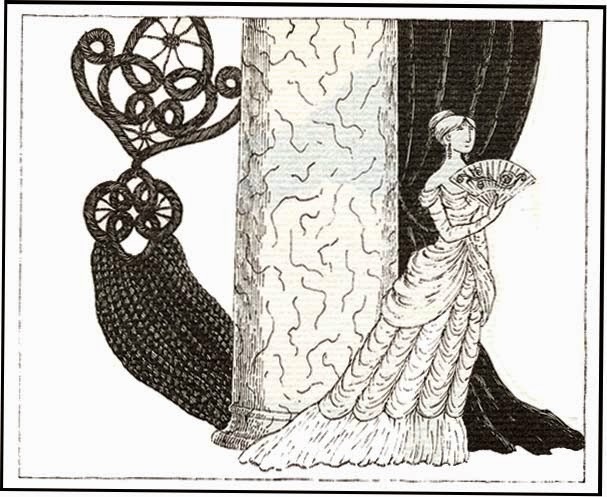 The first one is Amphigorey Also by Edward Gorey. It is a huge selection of works by a guy who created a lot of strange, noir drawings and stories. Some of my favourites involve giant macrame which haunt elegant Victorian homes and lurk in corners. 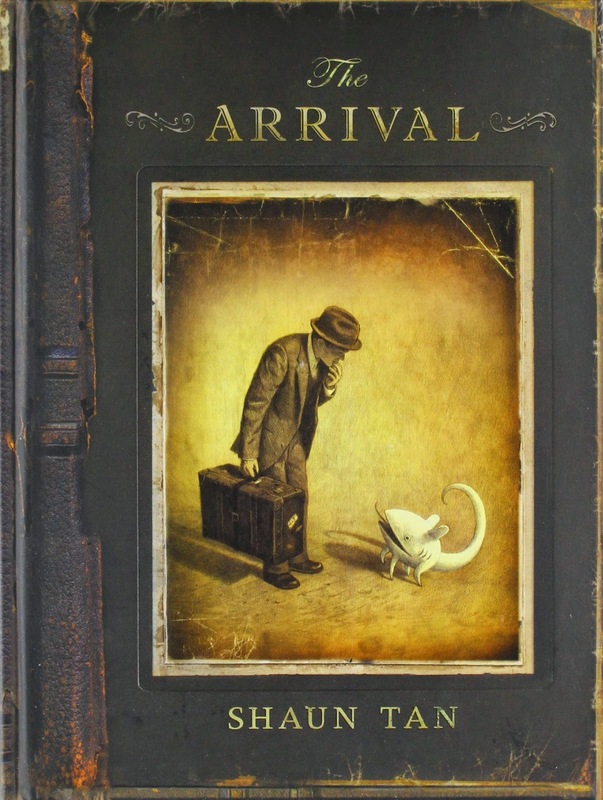 The second is called The Arrival by Shaun Tan. It is without words and is a lovely combination of fantastical and normal. I also love his book called Tales From Outer Suburbia.